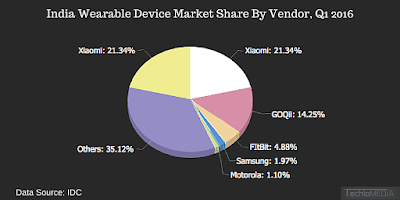 The wearable devices in Indian market is turning out to the latest tech device that has started to show traction, with wearable's shipments touched 557,000, with a 42% growth rate in the quarter 2016 q2. according to IDC. 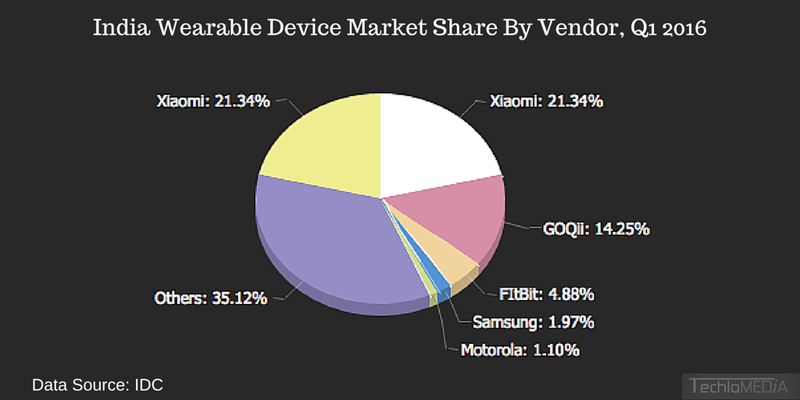 Out of the total device sold, 16% were sold by GOQi, edging out Xiaomi which ranked second with 10% device share, followed by with Fitbit's 6.7%.